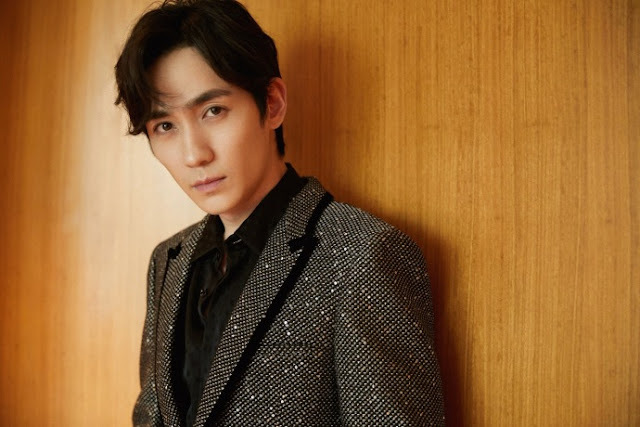 After Guardian, there's no stopping Zhu Yilong's rising popularity. It was recently revealed that it got to the point where his fans would wait by the hotel lobby to watch him while he takes his meals. He has officially and finally got himself some sasaeng fans (see pictures of overcrowded hotel). It got so out of control that his studio had to release a statement outlining some guidelines. The guidelines stipulate that the studio does not tolerate, encourage or advocate this kind of behavior since it can poses danger and chaos not only to everybody involved but also to the general public. Poor guy! I feel for him. It is hard when your fans are affecting other people's lives as well. Imagine the foot traffic and car traffic these sasaeng fans can cause. The only difference is that celebrities have a unique job that puts them in the spotlight. They deserve their privacy and be able to eat in peace or vacation in peace. I know it's nice to have the chance to meet your idol but hopefully, it would be in a proper avenue and not to actively stalk them. You don't want to get jailed for going over the line. Zly deserved all the recognitions for his performance in guardian. It took him 10 years to be where he is now to be a big star. I'm glad everyone start noticing him more. Did zly sign a 35 year contract? He is better off being freelance to work with other companies that will pay more and offer him better roles and opportunity to grow as a actor. I’m waiting to see him in Minglan. Zhao Liying has the star power to push her not so well known costars. He deserves it all! Guardian has already made both of its main male actors super popular and they probably do not need any help from popular actresses to become more popular. already having trouble with crazy fans as it is. On the side note, while I do not dislike Zhao Liying as an actress, LOL I even named my peace lily as Bi Yao, go figure why, I wasn't all comfortable with all the rumors and marital affairs of hers. I'm afraid it might overshadow the potential of the drama Story of Ming Lan. This is me but I want to watch a drama for its production value and not because of the celebrity names attached to it. But I do understand how the fandom works out there. I don't understand these crazy fans. Like, why would you want to stand around to watch somebody eat? It's just weird, awkward and intrusive. I saw a comment the other day and someone mentioned he was looking very skinny recently. I guess now we know why if the poor guy can't eat in peace!